Sorry there haven't been many updates lately for those of you following this blog. A lot of things have been going on related to The Unknowns as well as other projects in general. The things involving The Unknowns I can't quite get into yet, but once things get more final I'll be sure to post them here. 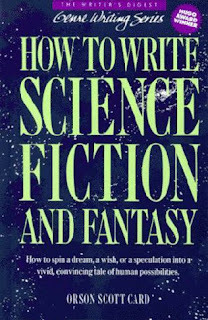 Orson Scott Card's book "Writing Science Fiction and Fantasy" is one of the best books I have ever read on the subject of writing. In it he explains how we can create believable and tangible worlds. Some of his stories about how he created a new story have helped spur me on to new ideas. "The Man Who Heard Voices" is more here because of its attention to the way so many of us all feel as we create the art that is in us as visual storytellers. 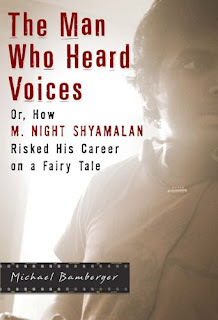 Regardless of your thoughts towards M. Night's movies (I for one think he's pretty much amazing) I think everyone can find this book to be a reminder that even those who are successful at their craft wrestle behind closed doors. 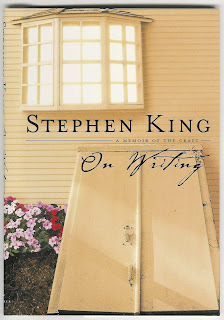 "On Writing" by Stephen King is pretty much the mother load when it comes to a book that is profoundly helpful and entertaining. Part memoir and part how-to, this book deals with topics as mundane as grammar to how to discover a story. This one is my current read, but it is one that I think has done more to help my work ethic than any other book as I remember: to be a great writer you must; read a lot a write a lot.